Telecom 500w pure sine wave inverter is a new generation of dual input inverter solution designed for the field of communication applications, which is suitable for the high reliability of the communication system. The solution is equipped with a 230V AC power supply and a 48V DC power supply, which fills the gap between the traditional UPS power supply and common 500 watt pure sine wave inverter solutions. It uses a novel design structure that helps users to provide clean, stable and durable AC power for critical loads, and has the same high reliability as the DC power supply system. 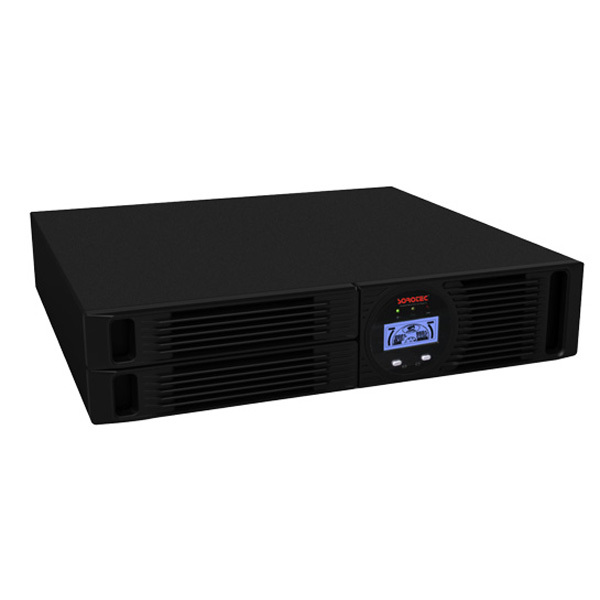 It uses a novel design structure that helps users to provide clean, stable and durable AC power for critical loads, and has the same high reliability as the DC power supply system. The design characteristics of the dedicated communication 500w pure sine wave inverter ensure the seamless conversion between the AC and DC power supply, almost no conversion delay, and no need to use the static switch. Users can choose connect power supply mode or battery powered mode. When in the connection mode, the work pattern of telecom 500w pure sine wave inverter is similar to the double conversion UPS, the AC power supply can be converted into a smooth independent alternating current to the load power supply; when in the battery power mode, the telecom 500 watt pure sine wave inverter is directly supplied by the DC power supply. When the power supply of the preferred input power supply is interrupted, the inverter can switch to the standby input power supply without interrupting the power supply to the key AC load. Telecom 500 watt pure sine wave inverter can be equipped with configurable control module options and / or maintenance bypass switch. Monitoring controller real-time monitoring status information can be displayed through the LCD/LED display, and allows the use of the button panel to set the system parameters.In addition, users can remotely monitor and control the system through the communication interface. Maintenance bypass switch option allows the user to manually switch between the 500w pure sine wave inverter power supply and AC power supply, also can completely shut down the inverter system while keep in the main power supply.